The kiddos and I are beach bound to Tybee Island this month and I’ve been thinking about what books I’m going to take with me. When we went to Virginia earlier this month, I had books planned too. I always try to have a kindle or physical book on me at all times! You never know when it’ll be needed! So I thought I would write up a post about my beach read choices! I’ve posted about my recommendations, but now I’ll share what’s actually making it in the beach bag. The kiddos have their kindles loaded up with books, games, and movies, so I’ll be able to listen to an audiobook on the drive down again this year. Or even better, I may have the car to myself if they sneak over into Grammy and Grandpa’s car! Whatever the driving arrangements, they’ll have headphones on so it will be blissfully quiet. I was so excited for this trilogy. I really was. I hated every minute of this book I listened to. I may enjoy it if I read it, but the narrator’s voice got on my ever loving nerves! 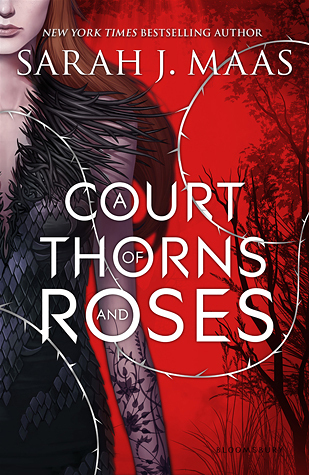 I intended on re-starting A Torch Against the Night and reading A Court of Thorns and Roses as a back up, but the mood to go ahead and start ACOTAR hit. I only read about 100 pages though. I’m really torn on this decision! I should’ve finished The Raven King when I started it, but I got distracted and now I have to start over. Thankfully I’m not too far into it! One of those will be my audiobook. I may be able to swing both of them! At least probably all of The Infinite Sea and part of The Raven King. I need to check times on them. Gotta have a physical book or two for beach side reading! If you’re interested in what the kiddos have picked to take with them, you can check it out here! I thought about including the months since my last Hello, Goodbye post, but then I thought about how many books I’ve read and shuddered lol. So! I decided to just start back with the current month. Crazy to think we’re almost halfway through 2015 already! Summer is quickly approaching and I’m super happy. My kiddos love to play outside and super cold days are no fun being cooped up in the house with them. I do love the snow, and so do they, but we much prefer to not be on top of each other all day long. A lot happened in April! My dad got remarried. My aunt and uncle are in from New Mexico! YAY! I’m trying to figure out if I can sneak back to New Mexico in one of their suitcases haha. How was your April? What’s up for May? I know there are so many people that have featured this already and more that will feature it leading up to release day, but I am SO excited about this. A Beauty and the Beast retelling? Um. Duh. You know I’m all about me some Beauty and the Beast! Plus it’s from Sarah J Maas, so I’m even more excited. My bestie Mary has generously lent me her copy and I am so excited to read it! I’m also *fingers crossed* heading down to Nashville to see Sarah on her release tour!